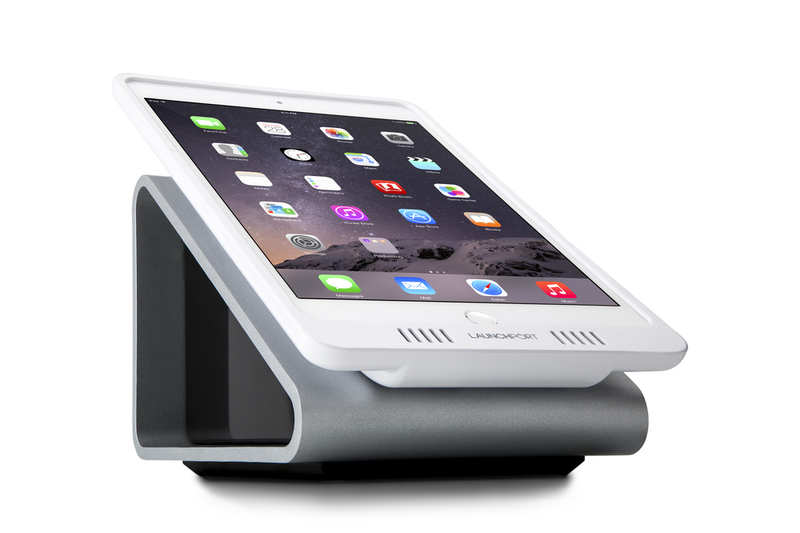 LaunchPort is a system that charges, mounts and protects iPad. The system consists of two main components: a Station and a Sleeve. The Station holds an iPad-in-Sleeve, and charges the iPad while mounted and held. The Sleeve is a form fitting case that slides onto iPad. There are two types of Stations: a BaseStation which can be placed on a table-top and a WallStation which is installed into a wall or solid surface.